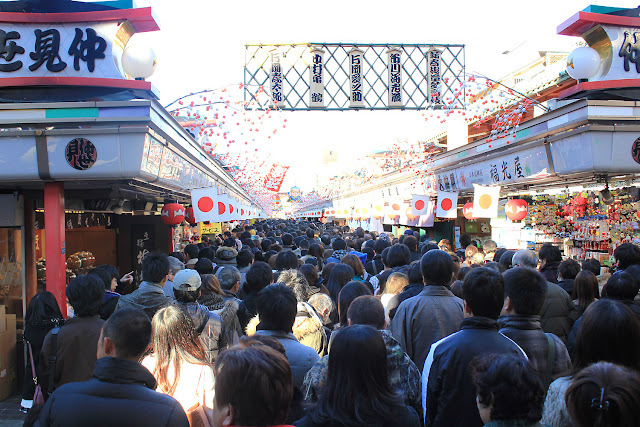 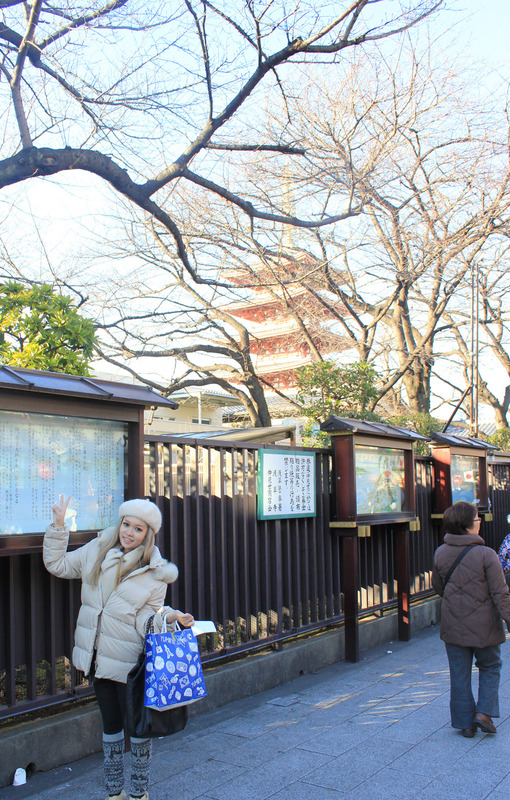 On my 3rd day in Japan, it's 2013 New Year! 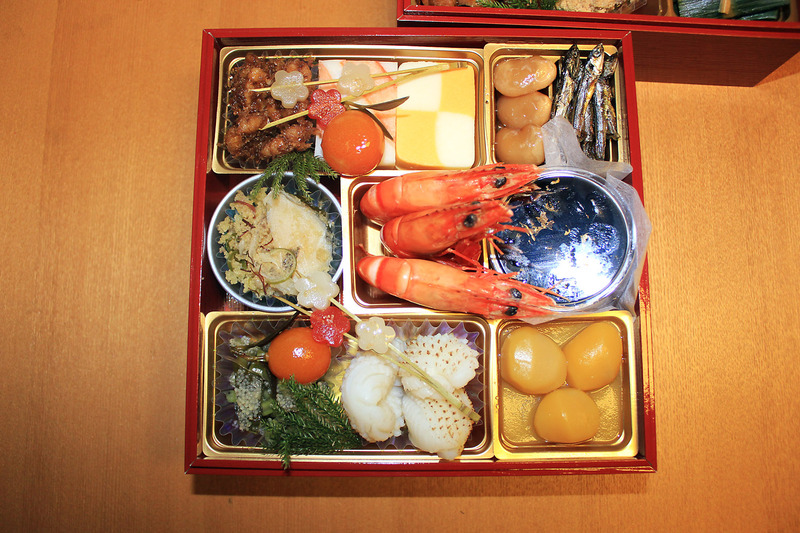 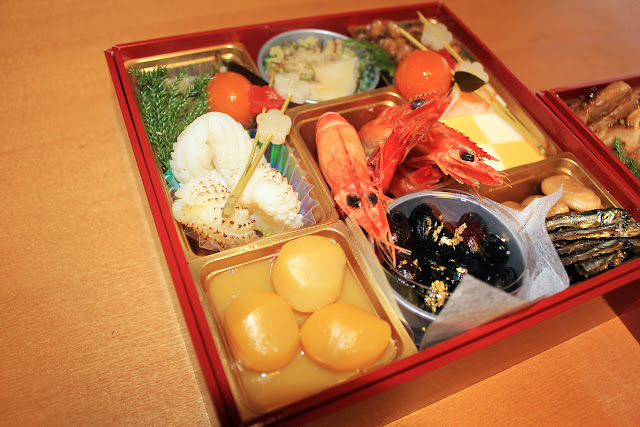 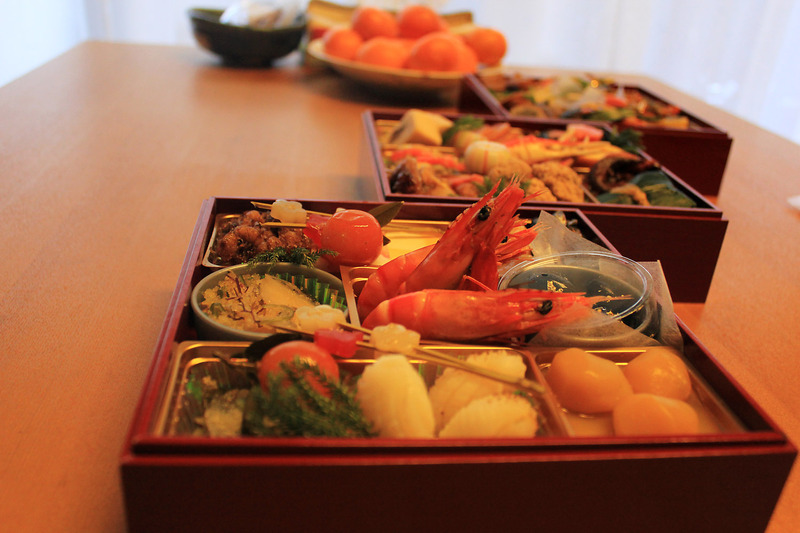 But for new year, they usually have osechi and we're lucky because Shintaro-nii's brother came to our house the night before and gave it to us. 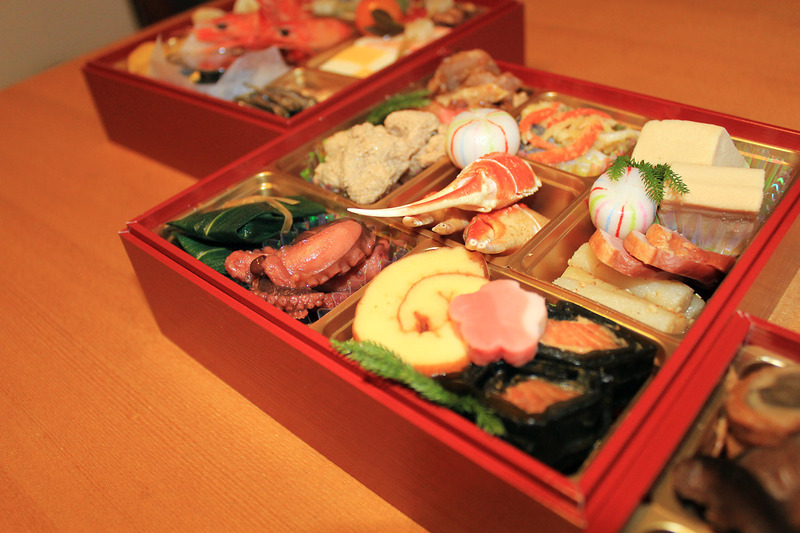 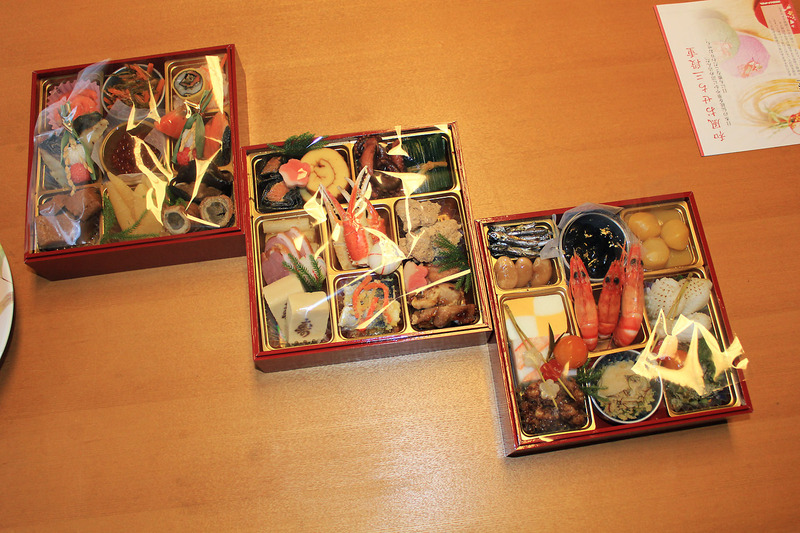 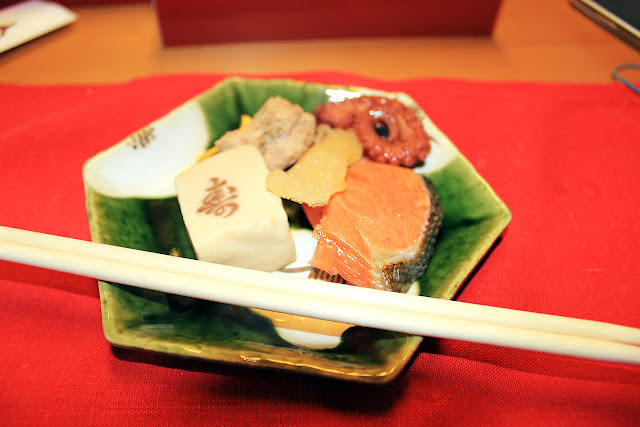 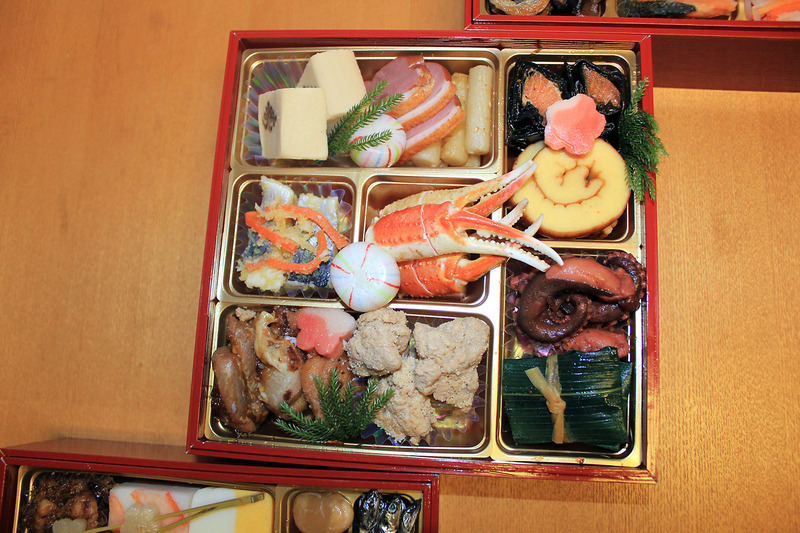 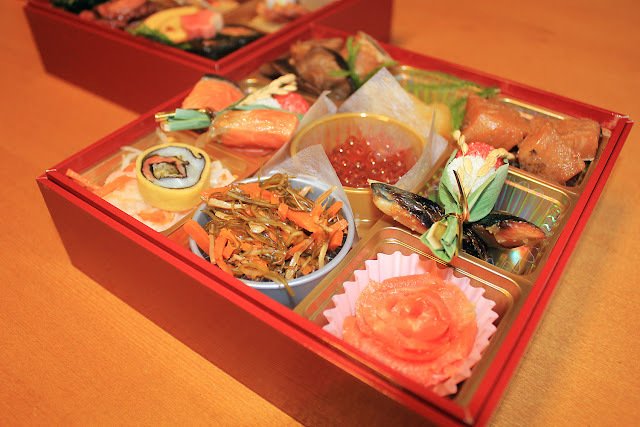 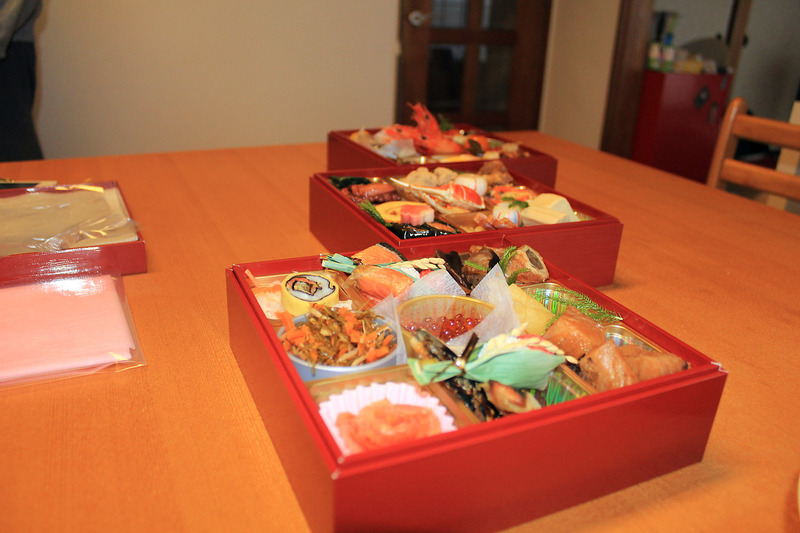 Since osechi usually costs you like 50.000 yen T-T very very expensive!!! 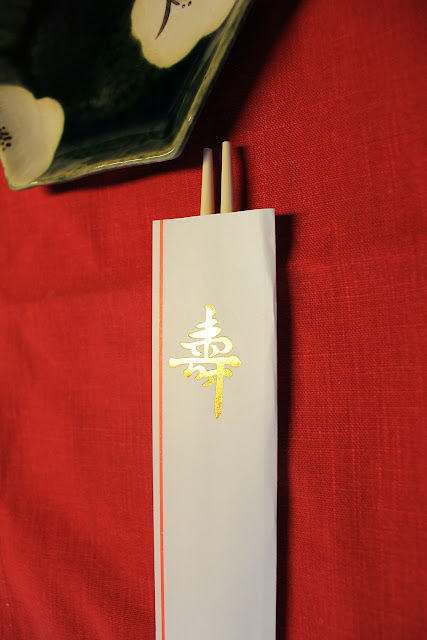 And they include chopstick that has kanji "New Year" lol so we must use it to get good luck for this new year! 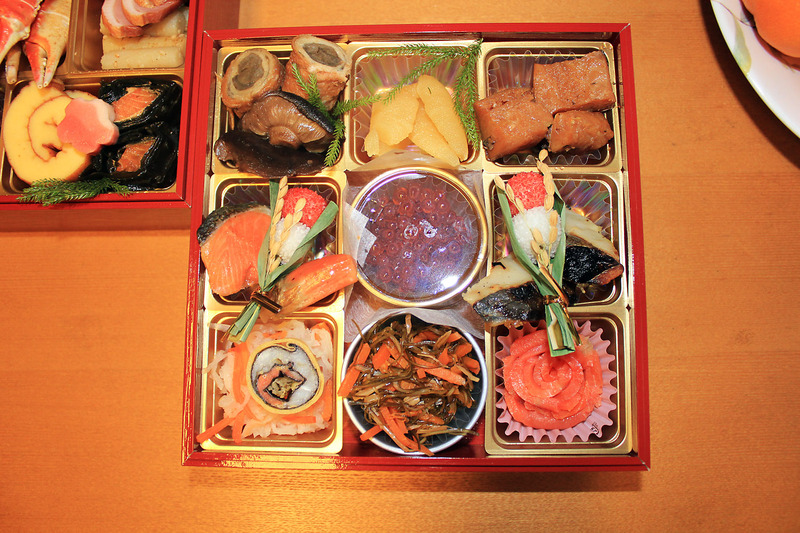 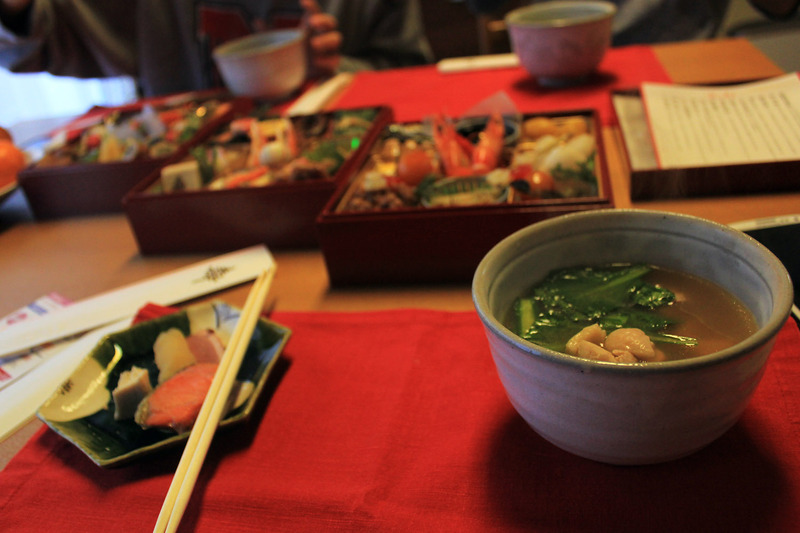 Maki-san also made Zoni for New year! 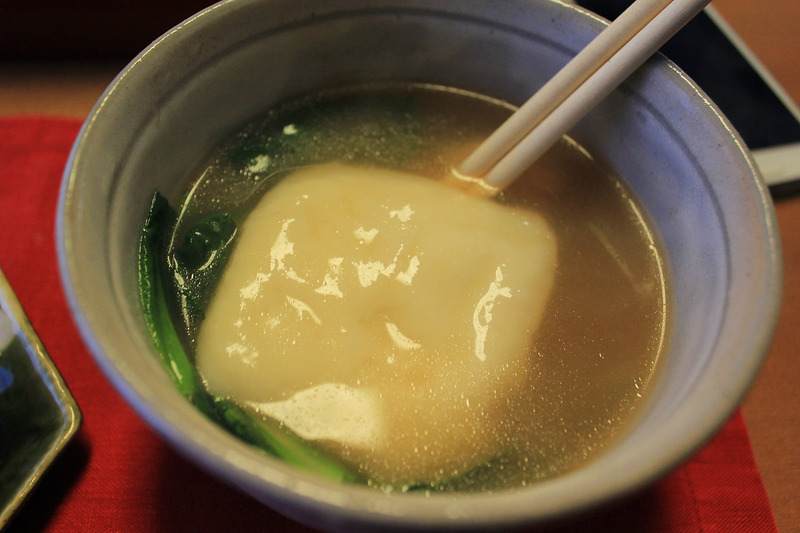 It's a mochi soup!! And when you eat it, it stretches ! 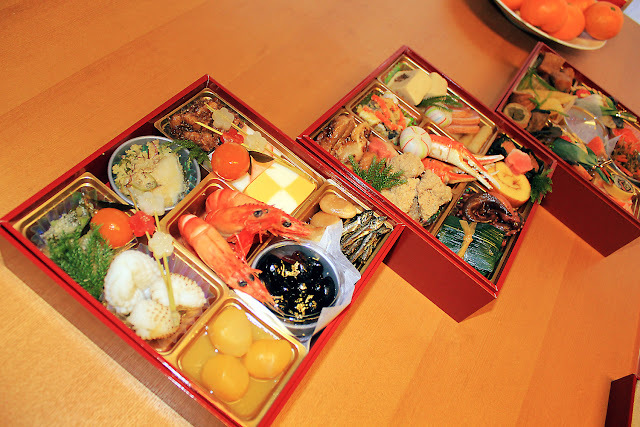 Shintaro-nii told me that in fact youngsters dont really eat osechi or zoni anymore.. Because they dont like the taste. 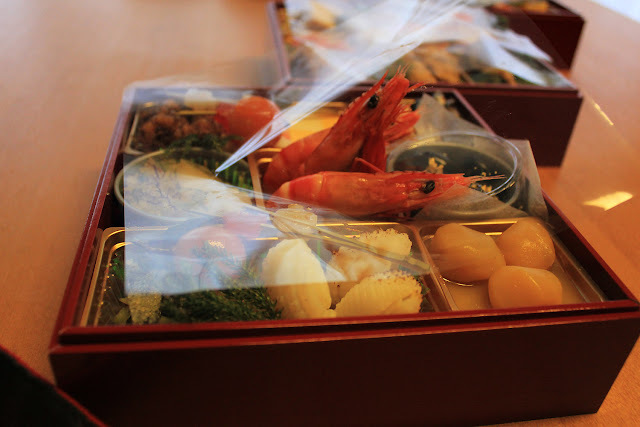 But I am not picky for food so it's ok for me haha, besides it tastes good la!! 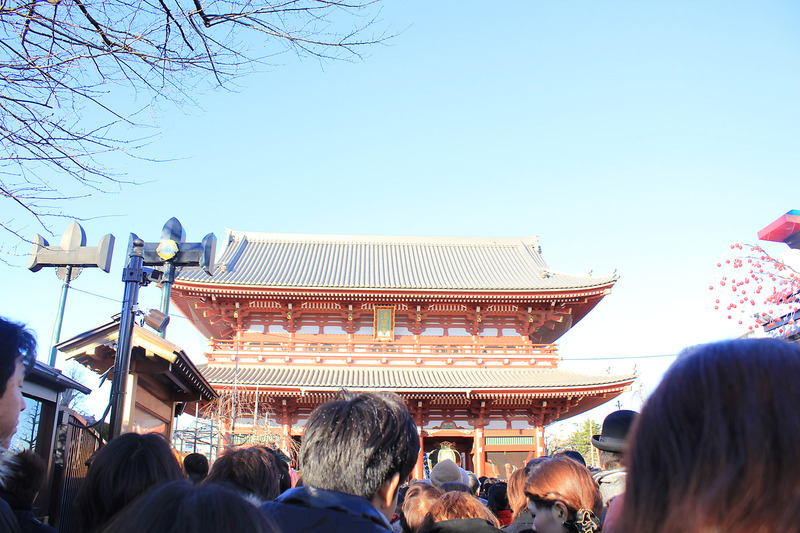 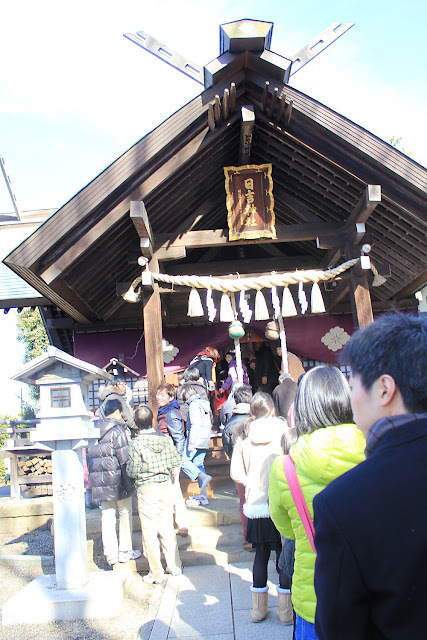 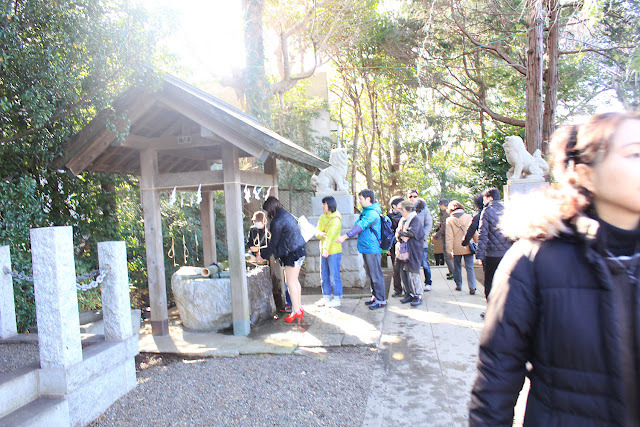 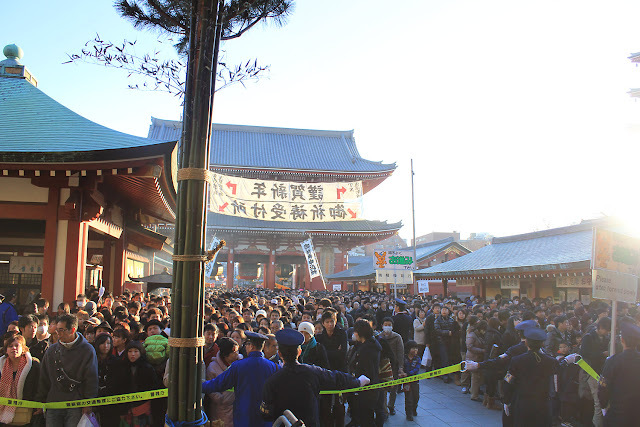 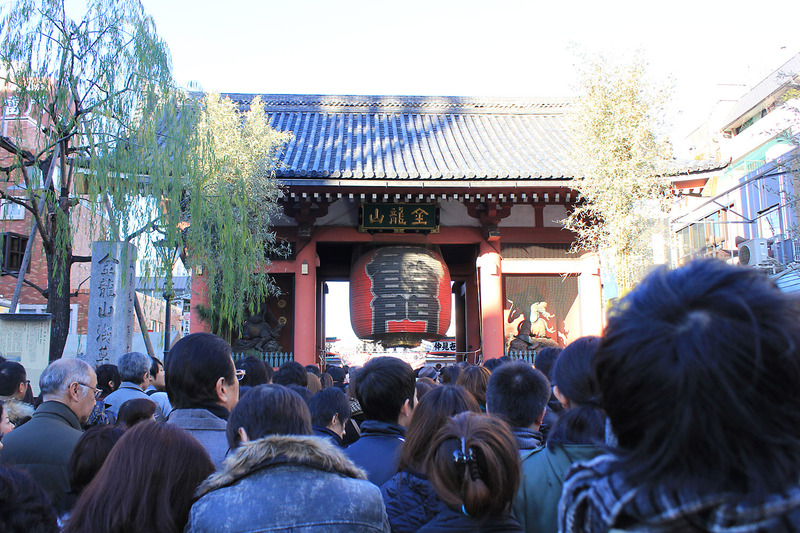 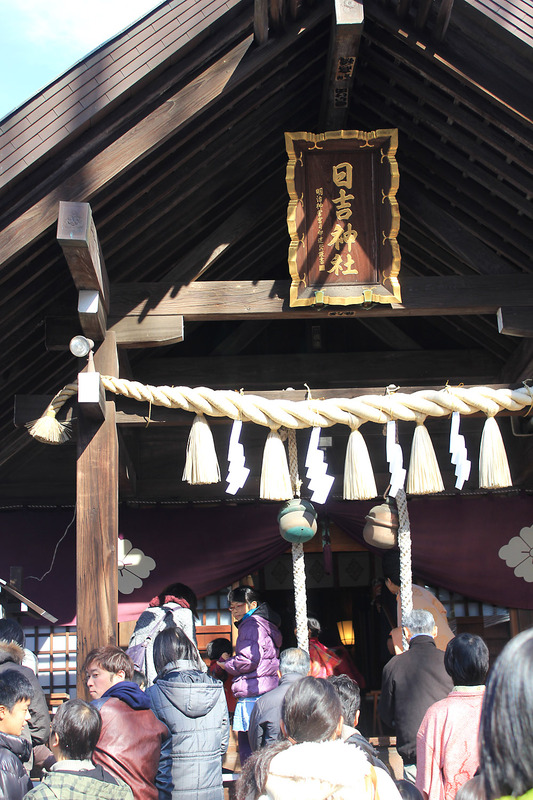 Then we go to the nearest Shinto Temple to pray for this year. But we must wash our hands with their water.. 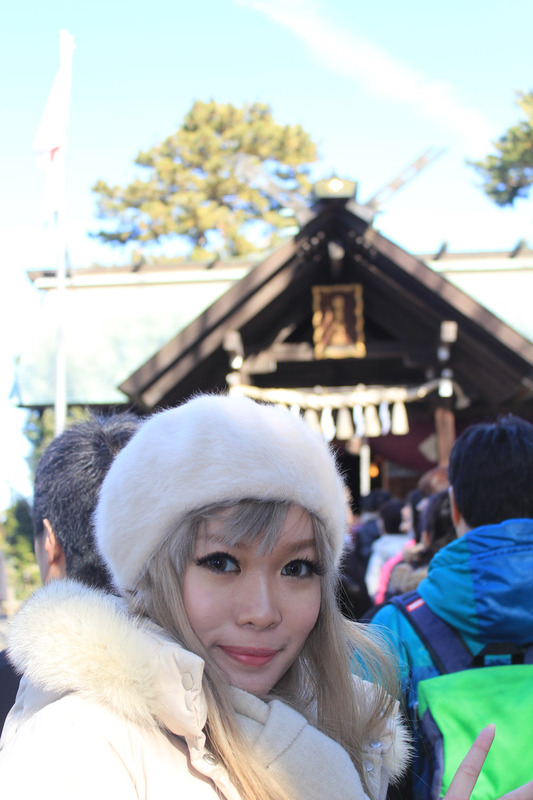 Very freezing!! That's my real hair right now. 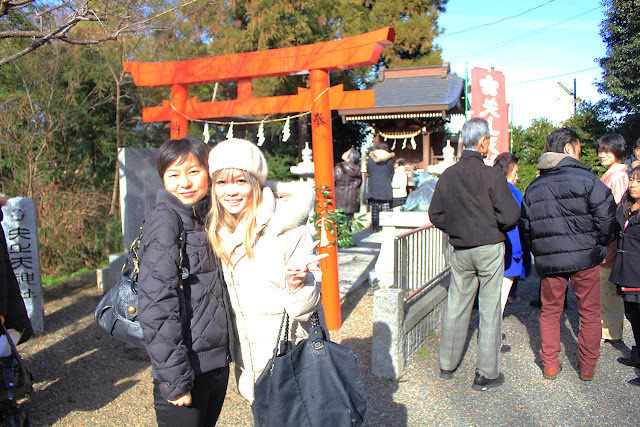 I did my hair at L'Oreal Academy Salon before I went to Japan, ash blonde yay! 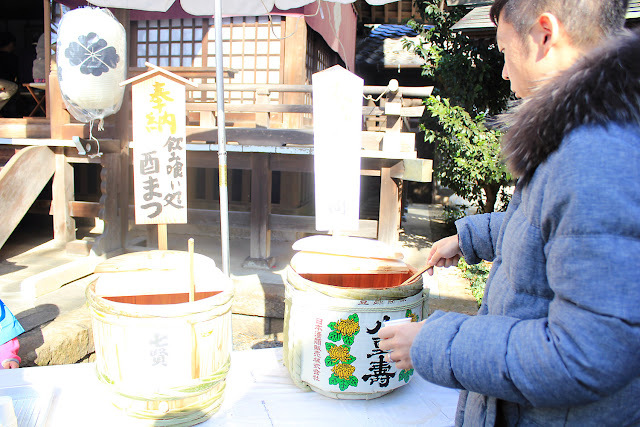 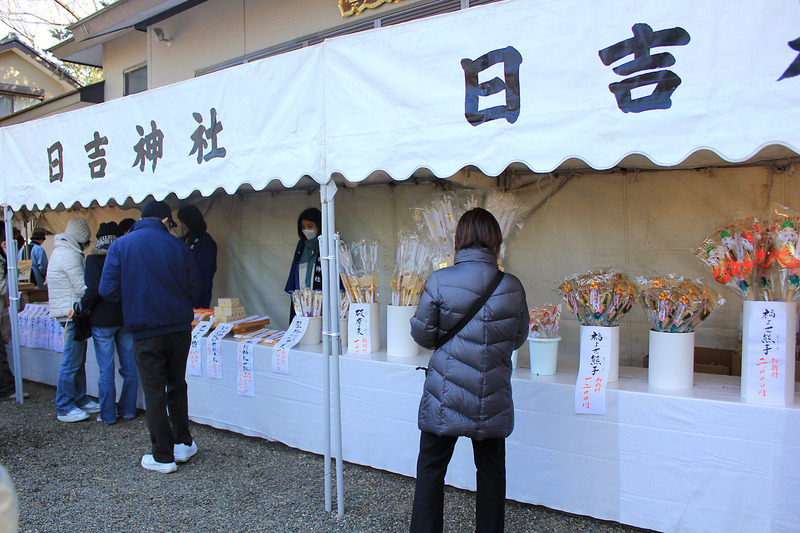 Must pay to get the Omikuji, it will show you the fortune of this year. I am in fact not really interested with fortune telling but since I am here, so why not? 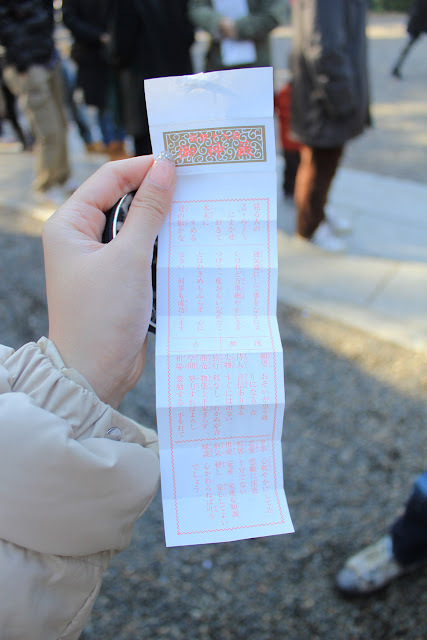 Omikuji has so many levels of lucks, and even on each luck, what's written is very different.. Shintaro said that I got the second highest luck so YAY!! 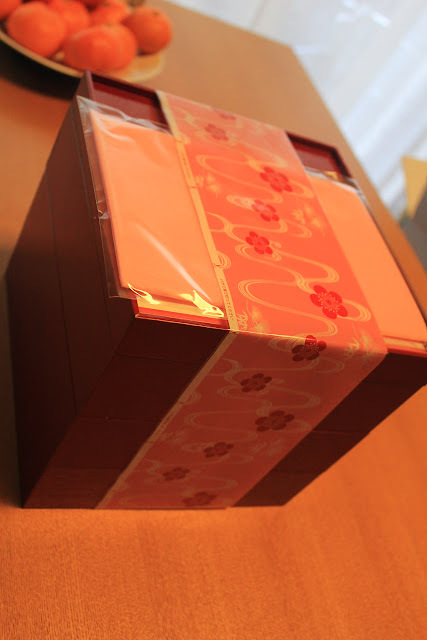 Very very very pretty and seductive, and SUPER COMFORTABLE!! 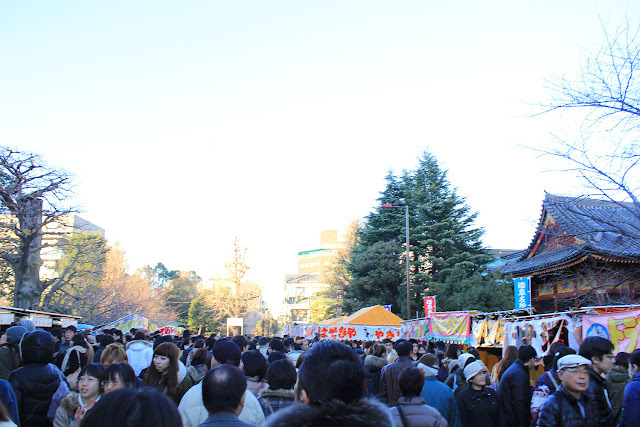 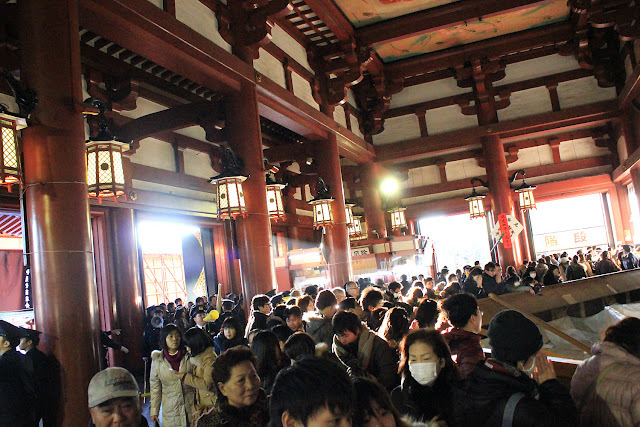 Inside the gate, must queue again, but there were some shops, and we bought manju and amazake [sweet sake] to fill our tummy! 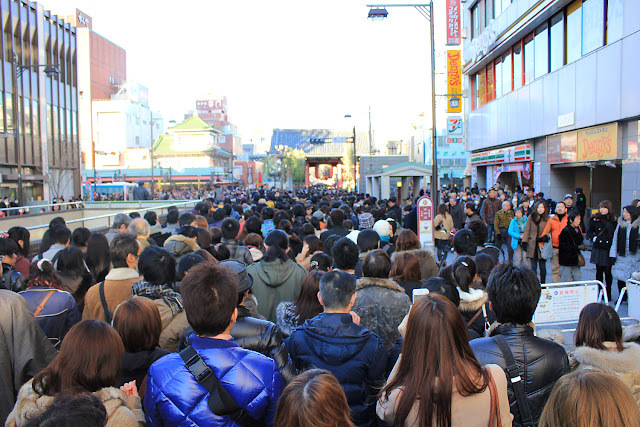 If it was in Indonesia, there would be so many pickpockets and so many stolen wallets and phones. 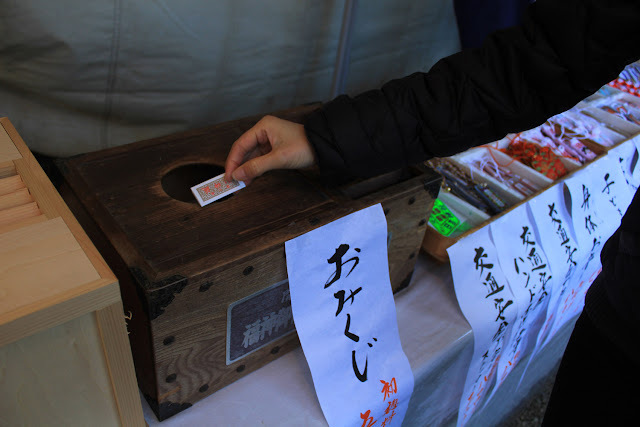 But Japanese people are the most honest citizen in the whole world..
And stealing phones are useless here because everyone use iPhone 5, so mostly are rich lol, and each phone is registered to its owner.. And it's just that, Japanese dont really have bad thoughts!! Every foreigners that I met in Japan also said that Japan was very very safe!! 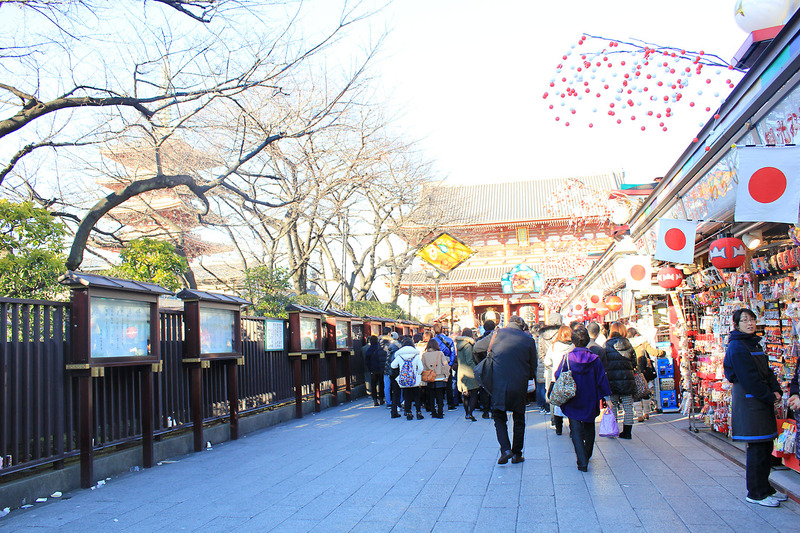 Looks so Japanese, but the fashion is wtf hahaha sorry! Looks like u're habing a lot of fun, dear! Love the Japan entires! May i know much the lenses costs?